Need advice on what to put under the tree? 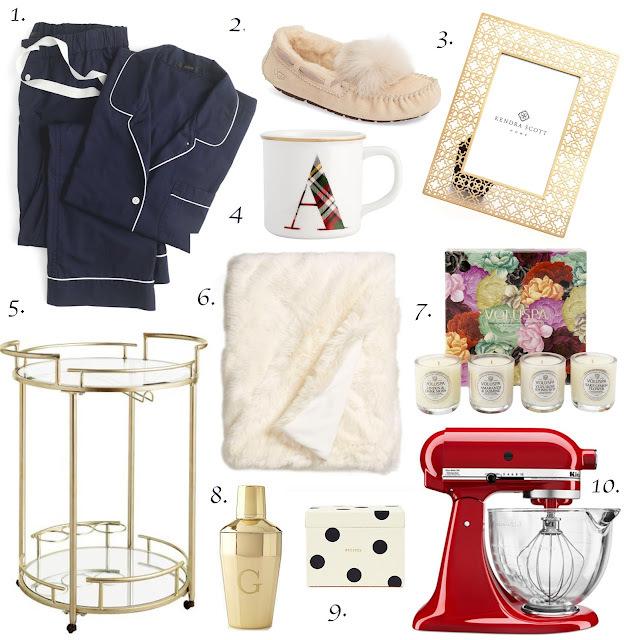 Look no further than my third annual gift guide! I've rounded up ideas for all the ladies in your life. Ready, set, get shopping! 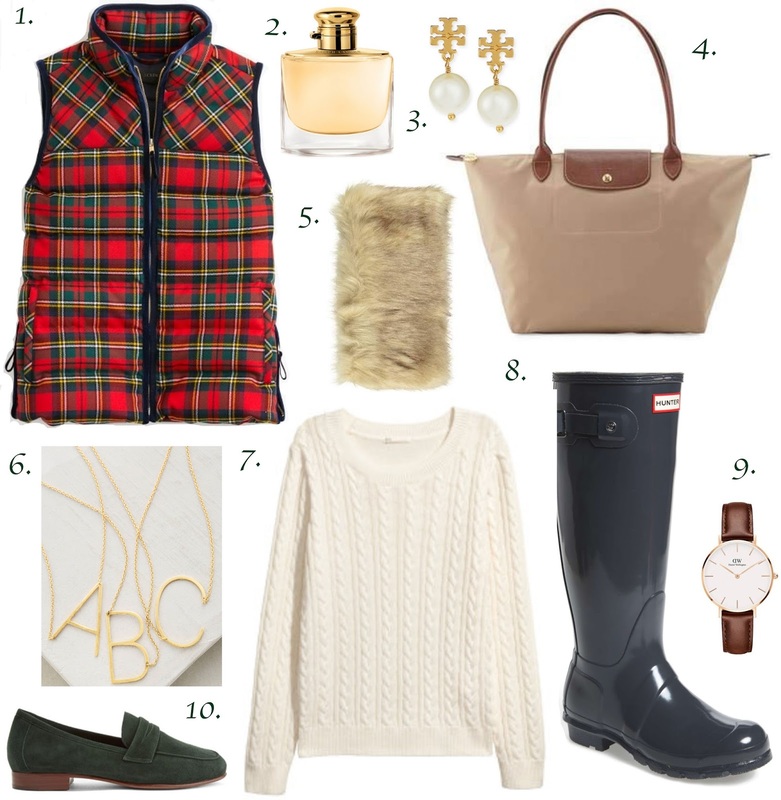 For the loyal prepster, stick to timeless, well-made pieces that will last her years to come. For your friend that could double as your personal stylist, don't settle for anything less than chic. 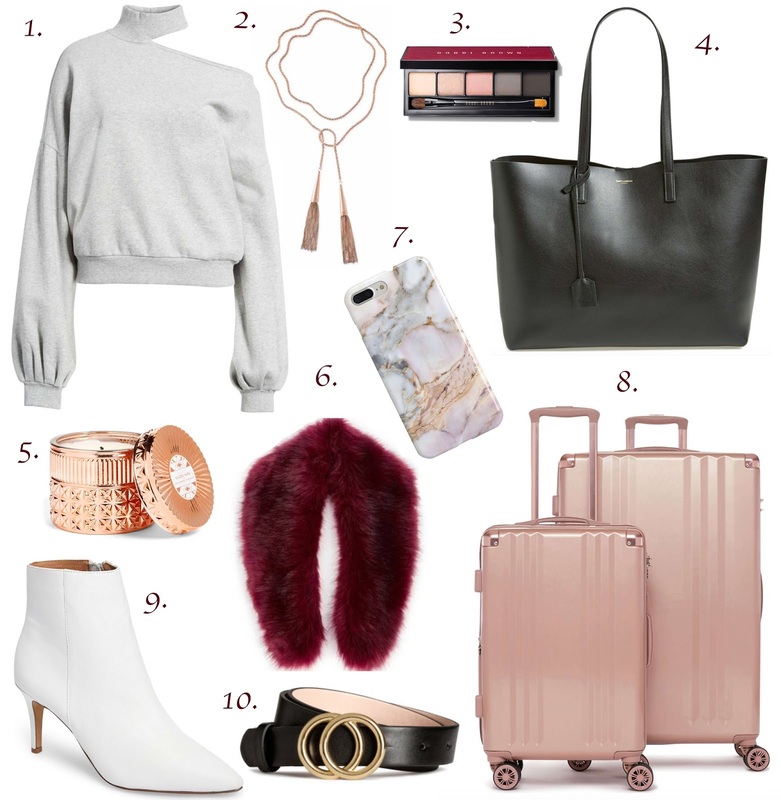 Seek out statement-making materials like rose gold, white leather and marble. 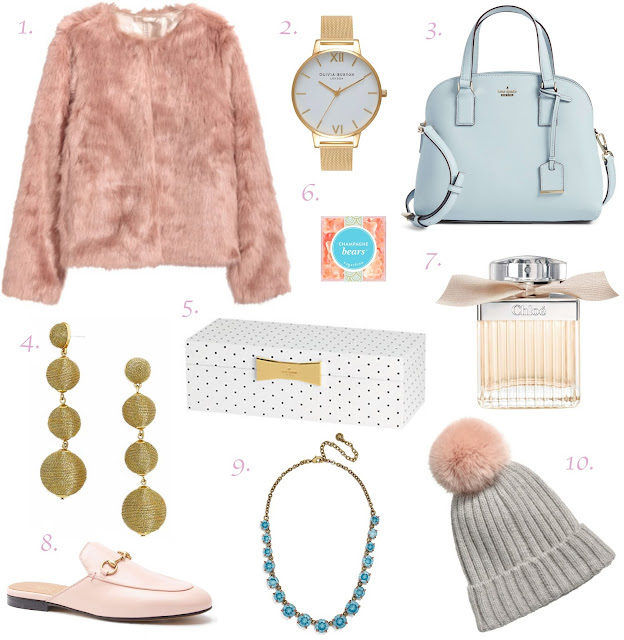 For the most elegant person you know, pick up something glitzy and girlie — and you can't go wrong with anything light pink! For the ultimate hostess — or your friend who would rather stay in and watch Netflix — give her the gift of something cozy or practical! I'm all about this list since moving into my apartment. When I noticed this dress at Zara, it was love at first sight! I'm always a sucker for floral, flowy dresses but this one seemed especially perfect for fall and the upcoming holidays because of the deep red color, embroidered florals and don't get me started on the polka dot details! I think this would be a great look for a "Friendsgiving" celebration or Thanksgiving dinner with the family. Also, how cute are these shoes!! (They are actually my mom's and I am plotting to steal them when I go home for Thanksgiving.) Stay tuned for more holiday outfit inspiration soon! I think one of the most challenging kinds of outfit planning is figuring out something that can transition from work to meeting up with friends. It's safe to say you probably don't want to wear your wool blazer to happy hour. While shopping at Zara recently, I found these fun flared green pants and knew they would be perfect for work and play. I paired them with this sleeveless turtleneck sweater that is a fun twist on a typical knit yet is appropriate enough for the office. I also love that these pants are high-waisted and think they would be fun with a tucked-in crewneck sweater for work or a silky lace tank for a night out. Not to mention the dark green color is so festive for the holidays! Two weeks ago, it was starting to feel chilly outside and since I had yet to move my fall/winter clothes to D.C., I stopped in Forever 21 to pick up a cheap cardigan or two to get by. Of course, I quickly got distracted and found this fabulous purple one-shoulder sweater. It's definitely not warm or practical, but c'mon how cute! I will definitely wear this look to go out with a denim skirt and booties as shown above, or paired with black skinny jeans and over-the-knee boots as the temperature drops. I found the sweater on Forever 21's website, but only in a warm gold color that is still super cute! But there were a ton of the purple version at my closest store so definitely keep your eye out for it and I will update this post if it is added online. Happy shopping! Happy October! As promised in my last post, here is the fabulous romper that Chicory Lane Boutique sent me! 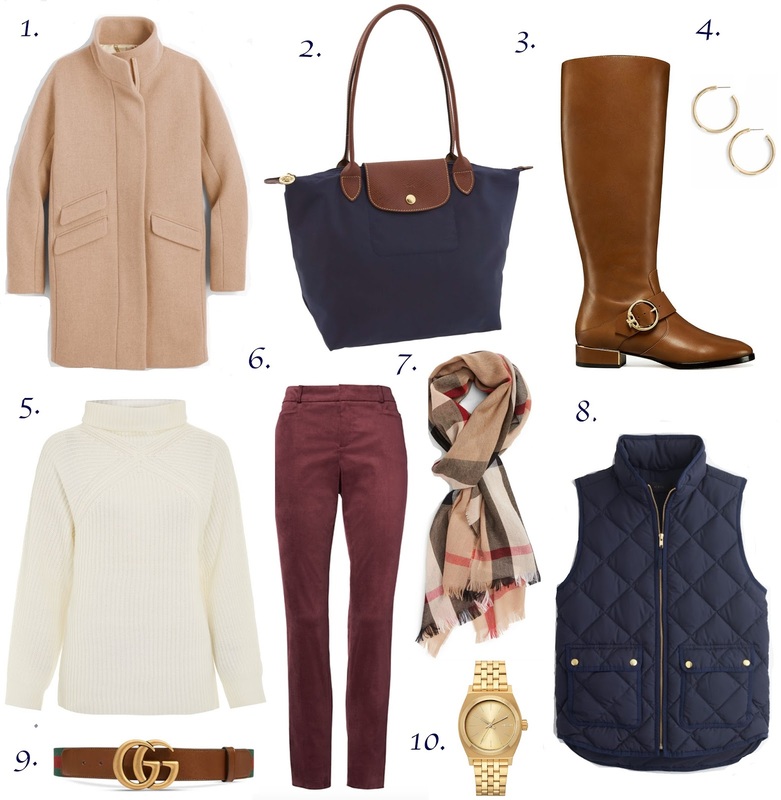 I am obsessed with this burnt orange color for fall! 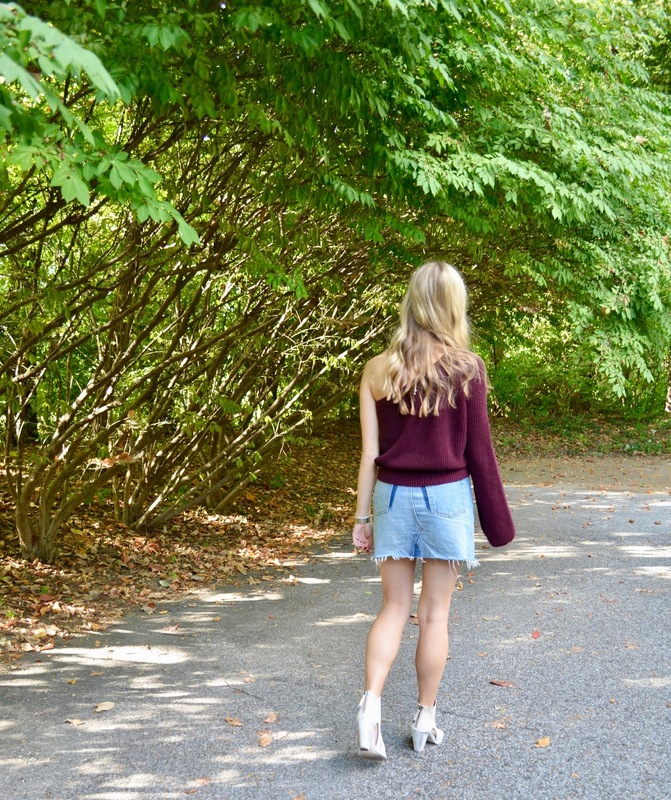 Since the romper makes such a statement on its own, I paired it with neutral brown and tan accessories, like a felt hat and suede over-the-knee boots. By the way, I was so excited to get all of my boots out of storage! There is no better time of year. I've been working on lots of outfit posts so stay tuned!